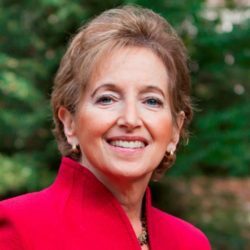 Karen Glanz, Ph.D., M.P.H., is George A. Weiss University Professor, Professor of Epidemiology and Nursing, and Director of the Center for Health Behavior Research at the University of Pennsylvania. Dr. Glanz received her M.P.H. (1977) and Ph.D. (1979) in health behavior and health education from the University of Michigan. Dr. Glanz’ teaching is focused on mentoring students and postdocs working on health behavior-related research, particularly in nutrition/obesity prevention, cancer prevention and control, and measurement of behaviors and application of behavioral science theory. Her research, funded for more than $25 million over the past 15 years, focuses on cancer prevention and control, theories of health behavior, obesity and the built environment, social and health policy, and new health communication technologies. She is currently conducting research on skin cancer prevention, nutrition and chronic disease prevention, compliance with glaucoma medications and colorectal cancer screening. Her scholarly contributions consist of more than 300 journal articles and book chapters.